A variety box of three mini morsel CBD chocolate bars. 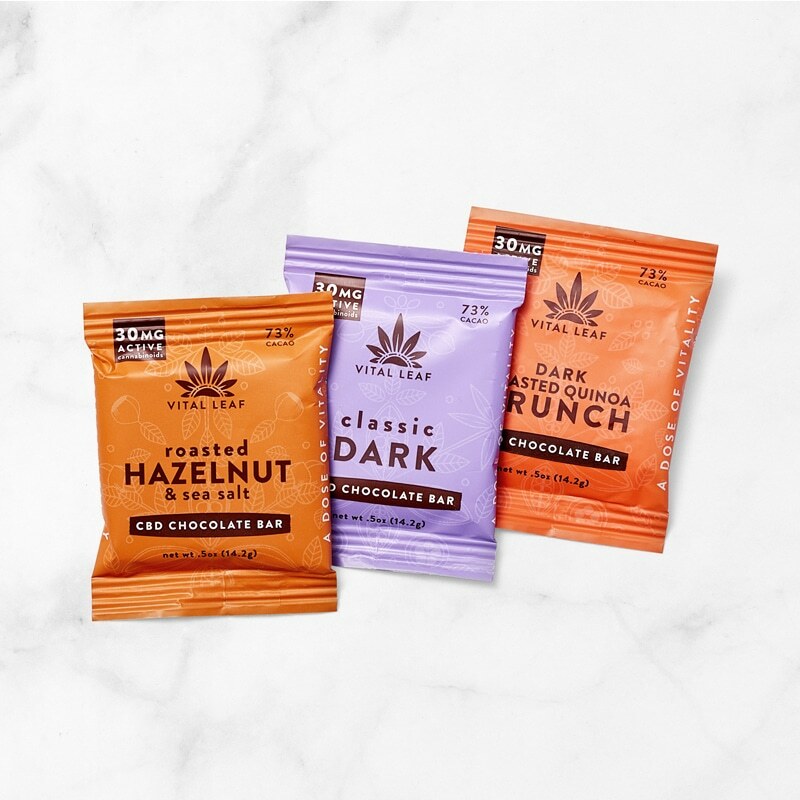 Each box contains three 30MG CBD 0.5oz bars, one in each flavor including: Classic Dark, Roasted Hazelnut & Sea Salt, and Toasted Quinoa Crunch. Made with phytocannabinoid-rich full-spectrum hemp extract! ROASTED HAZELNUT & SEA SALT INGREDIENTS: Organic fair-trade cacao paste, organic fair-trade cacao butter, organic coconut sugar, organic Oregon-grown lightly roasted hazelnuts (tree-nut), phytocannabinoid-rich full-spectrum hemp extract, alder-smoked sea salt. 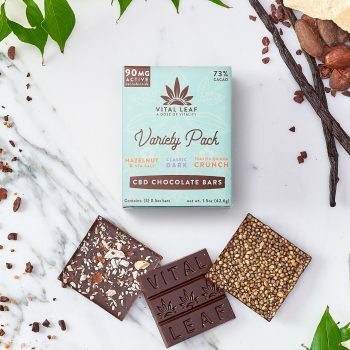 CLASSIC DARK INGREDIENTS: Organic fair-trade cacao paste, organic fair-trade cacao butter, organic coconut sugar, phytocannabinoid-rich full-spectrum hemp extract, organic vanilla bean, sea salt. 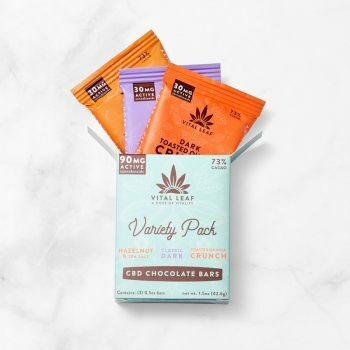 QUINOA CRUNCH INGREDIENTS: Organic fair-trade cacao paste, organic fair-trade cacao butter, organic coconut sugar, organic popped quinoa, phytocannabinoid-rich full-spectrum hemp extract, organic vanilla bean, sea salt.